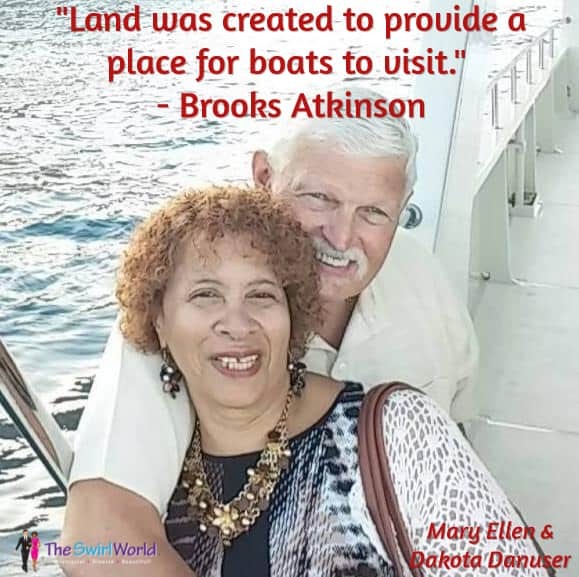 Mary Ellen and Dakota Danuser are Swirling and living the good life. Here they are on a sunset cruise in Cabo San Lucas. Cruising is . . . a very viable travel option. By the way, Mary Ellen and Dakota are 50+!